The Department of Energy's BioEnergy Science Center announced a major breakthrough in the biofuel field yesterday: a newly developed strain of yeast capable of producing more than three times the amount of fuel from plant matter as the current record holder. The Center has teamed with Mascoma LLC to develop the new strain, dubbed C5 FUEL. 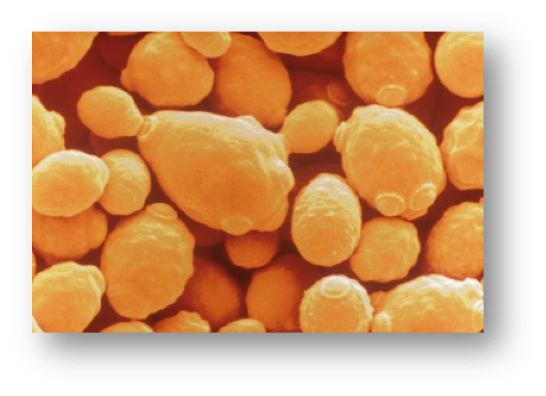 Existing biofuel yeast strains generally only convert about 30 percent of a plant's sugars and cannot effectively convert tough xylose sugars. C5 however can ferment up to 97 percent of plant sugars into ethanol, including the xylose that other strains can't break down. What's more, it does all that in just 48 hours as opposed to the multiple days or weeks that other strains require. Update: The headline of this post has been updated to clarify that it's 97 percent of a plant's sugars the team is claiming to convert into biofuel, not 97 percent of the entire plant. The BESC team presented its findings at the 31st International Fuel Ethanol Workshop in Minneapolis on Thursday morning. They hope that the discovery will help make ethanol-based biofuels more accessible to the consumer market. "Driving down the cost to develop, verify and consolidate bioprocessing was at the heart of the BESC effort when we began in 2007, and this achievement allows us to advance to the next challenge," BESC Director Paul Gilna said in a statement. "This accomplishment represents a clearly impactful example of how our partnering with industry can accelerate the translation of our research capabilities and findings into commercial products." Up next, the BESC hopes to perform the same biochemical gymnastics with thermophilic bacteria, which would produce fuel directly from biomass in just one step.